Stamps.com shipping software lets you import orders from Amazon®, eBay® and many other data sources to easily print pre-paid USPS® shipping labels. Selling online? Through Stamps.com’s easy-to-use interface, you can automatically retrieve order data from the most popular ecommerce stores including Amazon Pro Merchant, eBay, Yahoo! Stores, Etsy and PayPal. It’s the quickest and easiest way to process your ecommerce shipments. 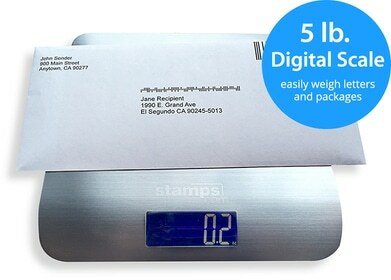 Stamps.com’s software allows you to quickly print out USPS shipping labels for any mail class. Print out a single label or batch your orders and print all your labels at the same time. Automatically import orders from web marketplaces and payment processors like Amazon, eBay, PayPal, Etsy, Yahoo! Stores along with shopping carts such as Zen Cart, Magento and many others. Automatically import data in XML file formats and retrieve data from any database files in various formats including ODBC connections, CSV, Excel, Access, SQL. Save time by automatically posting-back USPS Tracking details to Amazon, eBay and other marketplaces. Once your orders are imported, select which labels to print by product description, package size, store or marketplace. You’ll have the option to batch print or print all labels at once. The Stamps.com Postal Analyzer is a software tool that automatically verifies the consistency of order data and shipping data, highlighting potential mismatches and errors with warning signals.